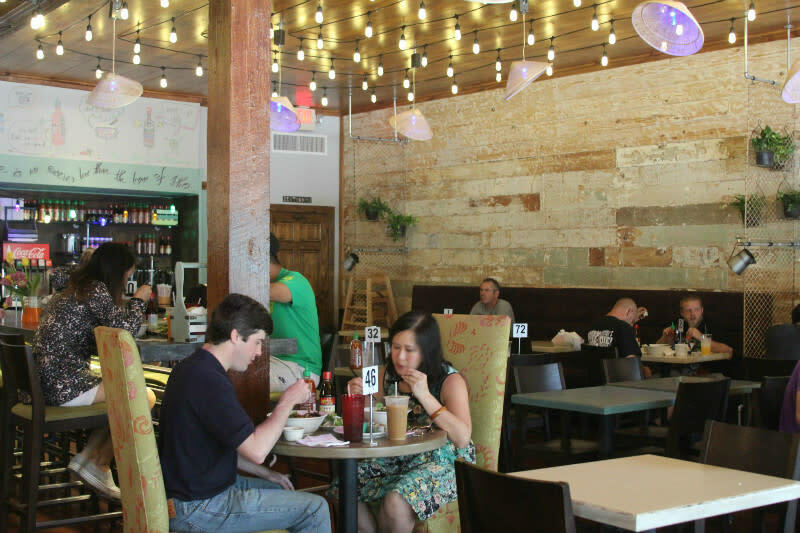 The renovated dining room at Pho Binh has a long, communal table and counter service. 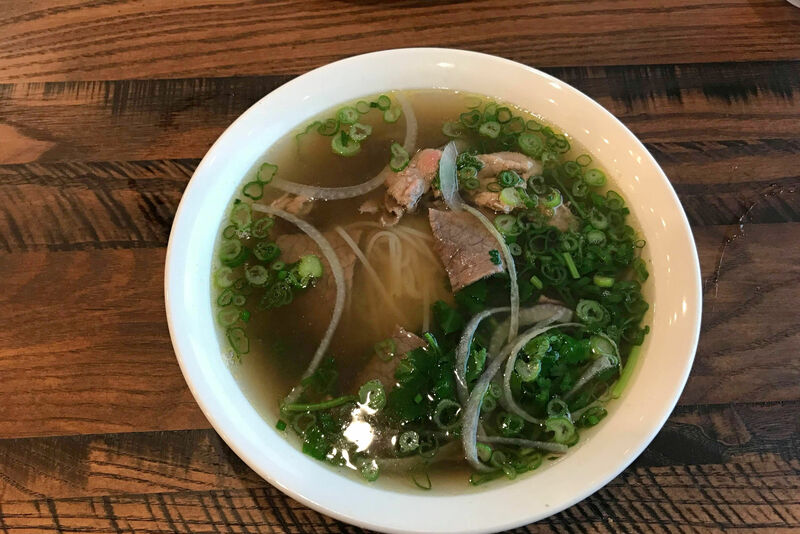 Pho Binh opened its doors in the Heights this past Wednesday at 10 a.m. By the time 8 p.m. rolled around—two hours shy of its 10 p.m. daily closing time—the kitchen had run out of both broth and noodles. "That's not good for a pho restaurant," laughed Walt, the general manager, when he recounted the story during my visit this past Sunday for lunch. It happened again the next day, Walt said, though we both agreed it was a good problem to have. 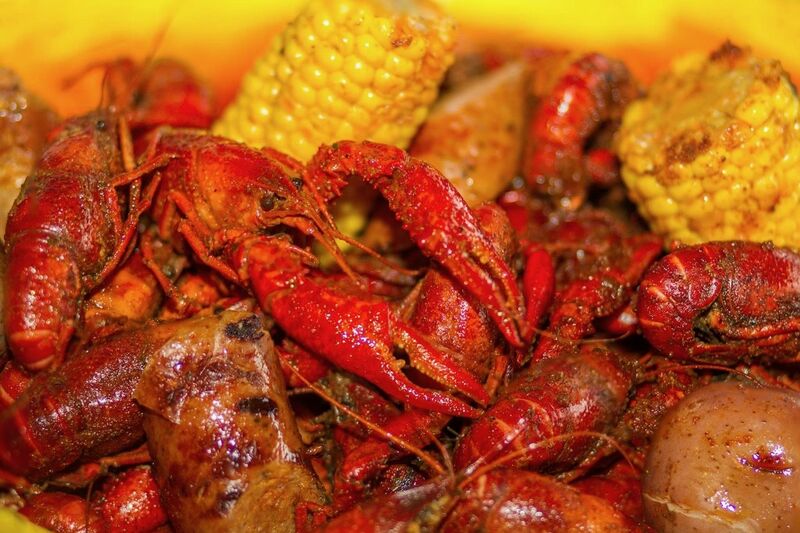 Though the previous tenant here at 2916 White Oak Dr., a French restaurant called Salé Sucré, always seemed to struggle amidst its more well-established neighbors: Tacos a Go-Go, Christian's Tailgate, Barnaby's, Onion Creek—all Houston-based chains with rabid followings. In that sense alone, Pho Binh was almost a shoo-in to replace the French bistro. Salé Sucré had issues of its own not necessarily worth enumerating here, except to say that it's stunning to see such a difference in not only the clientele, which flowed in and out at a steady clip Sunday afternoon, but also the vibe of the place: upbeat, busy, welcoming, warm. 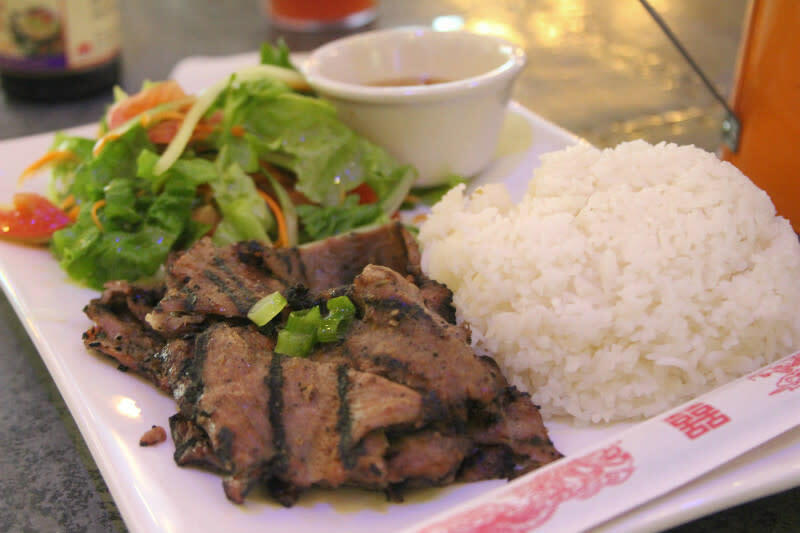 The grilled pork in the com thit nuong was well-marinated and tender, with a good crisp at the edges. I love that Pho Binh was able to move in and so effortlessly transform the bistro-style dining room of Salé Sucré into something all its own while still incorporating a few of the original, elegant design elements. In a way, it reflects Vietnam's own culinary heritage, which was strongly influenced by the French during the nearly century-long period of time the country was known as French Indochina. The renovated restaurant still retains a bistro's sensibilities and playful French touches throughout, but it now also features counter service and help-yourself-drinks-and-silverware, which engenders a much more casual feel—and, more importantly, gets those bowls of pho out fast. 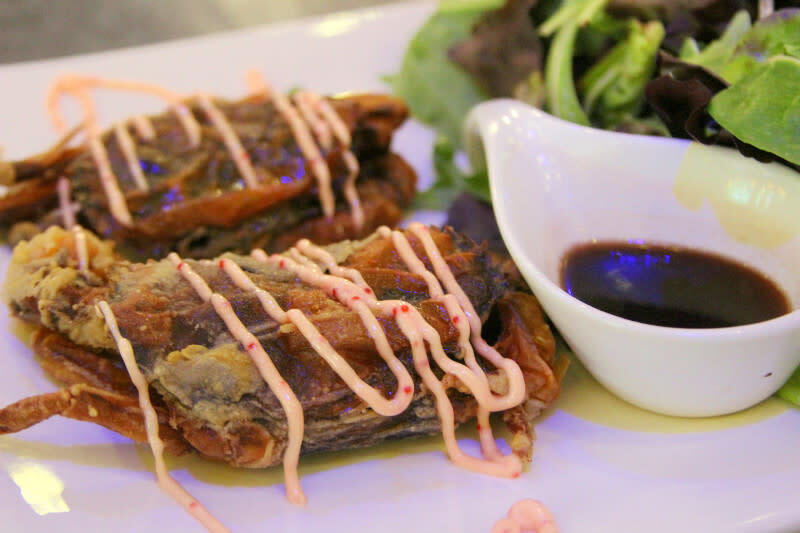 There's more than just pho at Pho Binh, however. 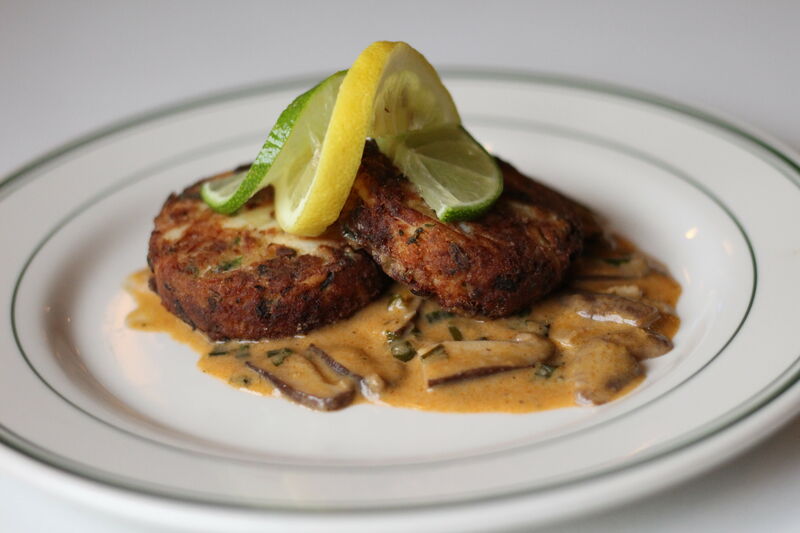 Though the original location on Beamer Rd., established in 1983, may still specialize in only that dish, its younger siblings have added more to the menu along the way. In addition to banh mi, bowls of bun and plates of com dia, you'll also find such upscale choices such as whole-roasted bone marrow in the femur and beautiful, delicate macarons. There's even beer and wine. But wait—in the immortal words of Ron Popeil—there's more. 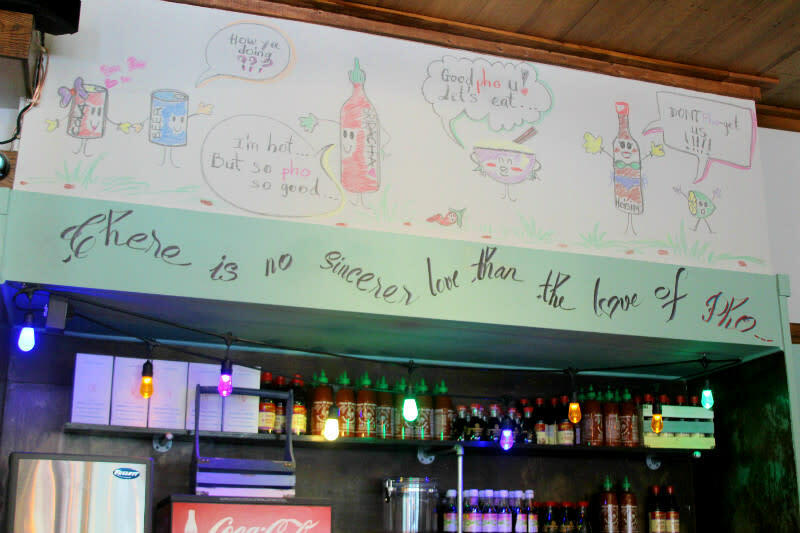 The Pho Binh family brought in a chef from Bellaire, Walt told us, to create a Heights-only menu for this location that goes above and beyond what Houstonians have come to expect from the fast-casual pho chain. I couldn't help but try one of the featured specials that day, a soft-shell crab salad served with bright, perky spring mix and two perfectly fried, juicy, crunchy-yet-tender crabs. But even as I enjoyed them I looked longingly at the rest of the Heights menu: raw oysters topped with tobiko; clams in basil sauce; grilled mussels with peanut and onion (these, Walt promised us, were among the best on the new menu); rosemary lamb chops; black pepper steak; grilled Chilean sea bass and too many more dishes to list. And just in case those aren't enough to fill you up, Pho Binh also has a broad selection of smoothies and bubble teas and several varieties of cakes to round out your meal with aplomb. The soft-shell crab salad is one of the entrees on the new Heights-only menu. For now, the restaurant is keeping the kind of long, reliable hours—10 a.m. to 10 p.m. daily—that will surely endear it to the neighborhood, though Walt said they're already looking to expand to midnight on Fridays and Saturdays, because very few things soak up a night out at Fitzgerald's as well as a big bowl of pho. Between this possibility and the terrific neon sign mounted above the restaurant, its steaming bowl of noodles flickering like a beacon in the night, the White Oak corridor seems to have acquired yet another anchor tenant in a continual shift towards a nightlife scene that would have been nearly impossible to imagine in the Heights a decade ago, Fitzgerald's itself notwithstanding. 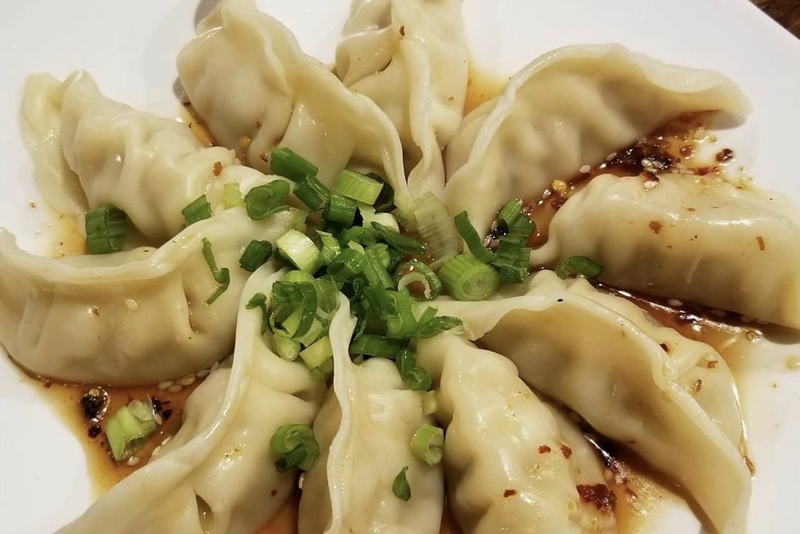 Late night hours or not, however, one thing is certain: Pho Binh is evolving in the most interesting way, and the Heights is lucky to be the recipient of this latest upgrade.